Julie and Mapleworks Coaching are here to help with whatever your health and fitness needs may be. While we specialize in cycling performance coaching, Julie has the knowledge and experience to help you lose weight, run your first 5k, or compete in a long distance triathlon, all while taking a holistic approach to training, nutrition, and recovery. Everything is addressed, nothing is overlooked. While earning her Bachelor’s degree in Exercise Science from Virginia Commonwealth University, Julie began coaching several fellow members of the collegiate cycling team as an outside project, quickly finding it to be one of her true passions. With over 5 years of full-time coaching, and past experience working in the nutritional supplement and medical fields, Julie has gained in-depth knowledge of sports nutrition, injuries, illness, human physiology & kinesiology, and psychology that allows her to offer unique and holistic coaching to her athletes. 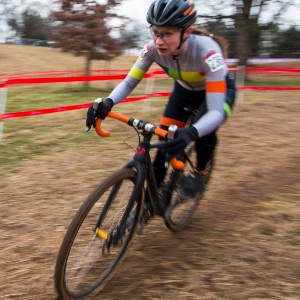 Also an athlete herself, Julie is a competitive cyclist who races at an elite level in local, regional, and national events as a Catetgory 1 in cyclocross and mountain biking, and a Category 2 on the road. In addition to providing science-based customized workouts, Julie emphasizes coach-athlete communication, recovery, nutrition, and mental training. Fostering an open and ongoing dialogue between athlete and coach not only allows for holistic and comprehensive coaching, but also helps prevent injury, illness, and burnout from occurring. In order to enhance the effectiveness of training, it is key to address all aspects of an athlete including their mental and physical well-being, as well as their nutrition and recovery habits. Success. Coach Julie Hunter has been notified of your message.